We offer many resources to assist you with all your Regina realty needs. Whether you are a first time home buyer, looking to sell your property, or an experienced investor, we can provide you with comprehensive real estate solutions. Contact Us today - it will be our pleasure to assist you! The second-largest city in the province of Saskatchewan, Regina is a rich source of natural resources, natural gas and oil. It's also a beautiful place to live with a rich history, plenty of culture and attractions and some of the friendliest people you'll ever meet! With so much to offer, Regina is booming with new homes, businesses and industries. Regina's real estate market is on an upswing and now is a great time to invest in a Regina home or investment property. 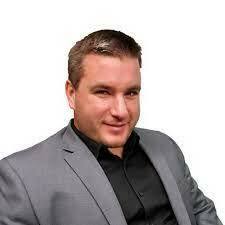 Adam was born and raised in Saskatchewan and has been selling real estate for 11 years. 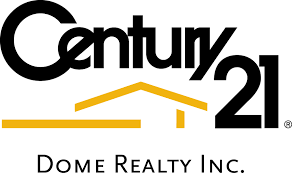 He got his start from his dad Ken Hungle who was selling real estate successfully for Century21Dome. Ken got diagnosed with multiple sclerosis in 2006 and realized he would need to start to slowdown. Ken asked Adam to help him with his real estate business. Adam was currently working at John Deere and agreed to start in real estate in 2007. It was slow start at first and quite a struggle as there is quite a learning curve in being a successful real estate agent. Fast forward 10 years and Adam is in the top 5% of all realtors in Saskatchewan. Adam has made over 250 sales in his career. He contributes his success to his dad Ken who taught him the value of hard work, honesty and always treating people fairly. Ken has recently retired and Adam know work’s with his partner Kristy Hungle who is also his wife of 6 years. If your looking to buy or sell Regina real estate in Saskatchewan call a local expert.